First things first, I received my master’s degree tonight!! So excited and thankful that I was able to go through such a WONDERFUL program! I learned so much these past few years and had some of the greatest instructors ever! It has definitely helped make me a better teacher! And of course I am so thankful for my wonderful husband and family for their never-ending love and support! I’ve mentioned my love of glitter before and am so happy that I have more glittery goodness to add to my classroom! This started after seeing a pin from the blog DeLoop. I loved the larger Martha Stewart glitter that she used! I followed her instructions (I have never used E6000 glue before and let me tell you, it is not fun! It was all over my hands by the end of this! Totally worth it though!). 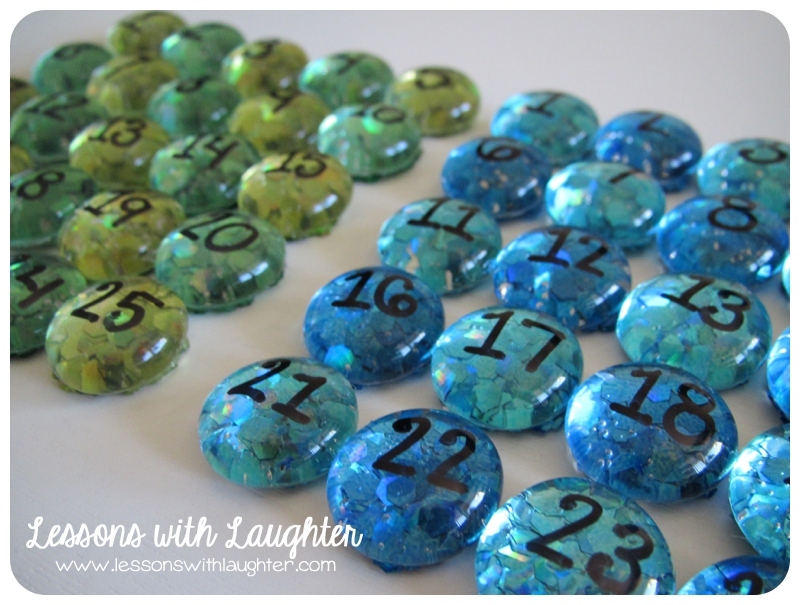 Next I added numbers! I saw this idea on Erin’s blog. Each week I send home parent bulletins on Friday which are due on Wednesday, and Wednesday Folders which are due on Friday. That’s a lot to keep track of, and just checking it off on my checklist doesn’t help remind my students who needs to turn in what! 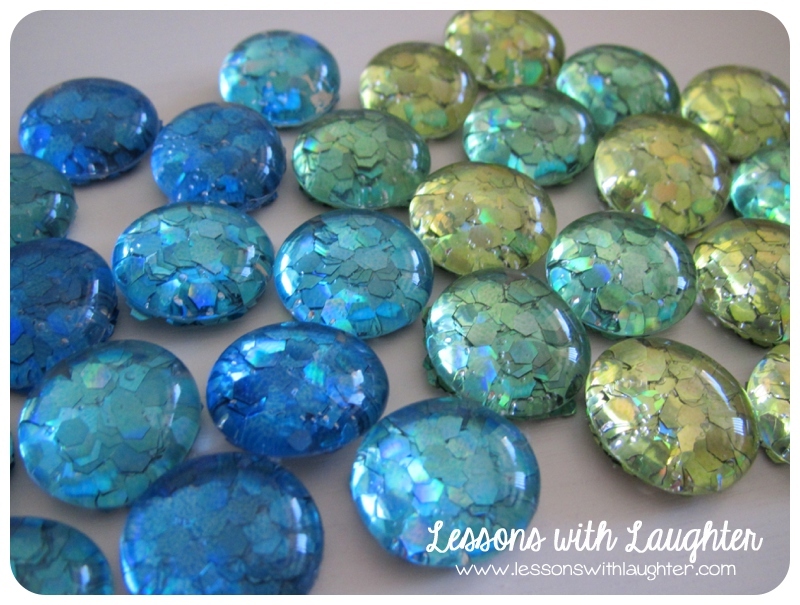 SO I made two sets of these glitter magnets… the blues for the parent bulletins and the greens for the Wednesday folders (or vice versa… haven’t decided yet). I will have them up on the whiteboard next to the homework. My homework checker will take down the numbers of the students who have turned in their things, so the students who haven’t turned them in yet will see their number when they go to write down their homework! Just a little extra reminder that I’m hoping will make my life a whole lot easier! Then as my students turn their things in their numbers will come down! And of course they’ll go up again each time I pass out the bulletins/folders. 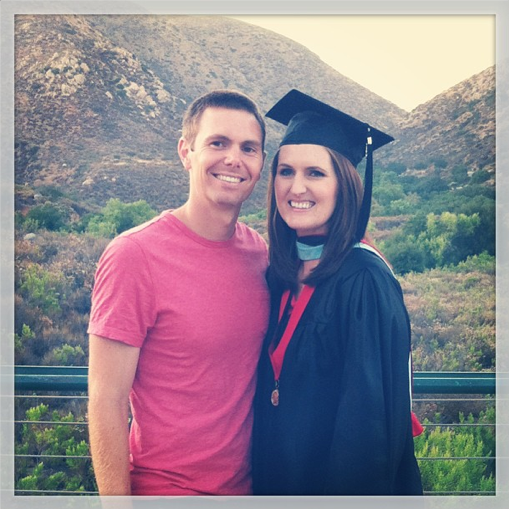 Congratulations on earning your Master's Degree!! You should be so proud! That is quite the accomplishment and a lot of work. Congratulations! There is nothing more rewarding than wearing that cap and gown You will not regret getting it while you are young. I had my masters and specialist all before I was 30! It feels great to have all that accomplished! 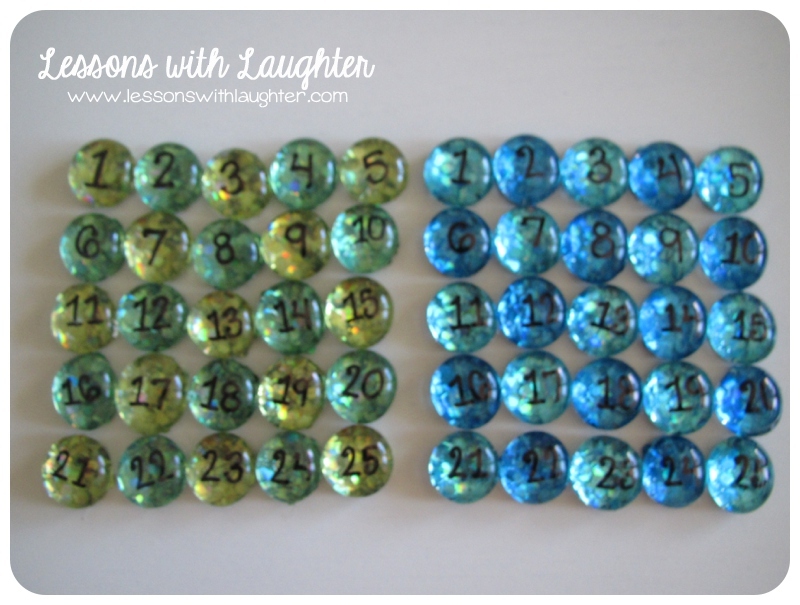 Your glitter magnets are oh so adorable! A huge congratulations to you! I love your glitter magnets! Congratulations on earning your Master's! 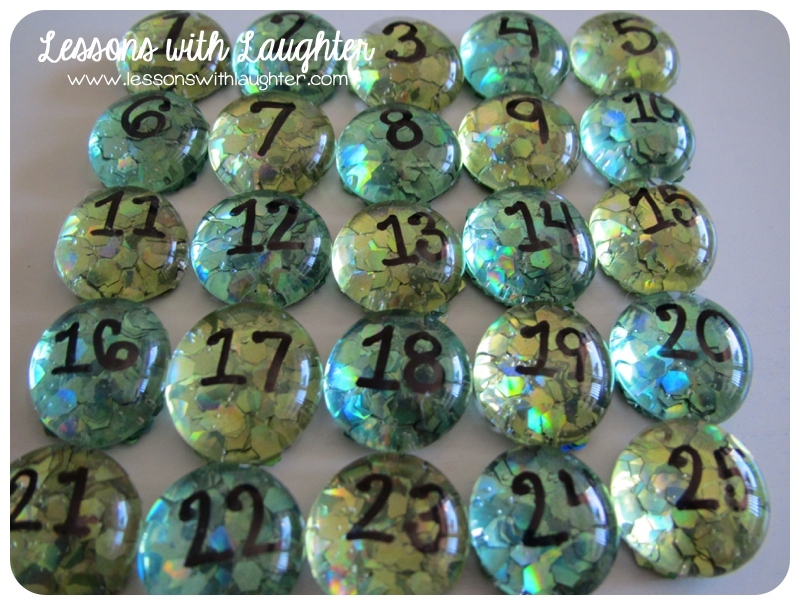 Your glitter magnets are the cutest I have seen this summer, and I have been stalking MMI all summer long!! Congratulations on earning your Master's!! Now you're not going to know what to do with yourself. Hehe. I love those magnets! I wish I needed them for something. Maybe I'll just make them for my own use. I love things that sparkle! Congrats on finishing your masters! It is truly an amazing accomplishment and I'm glad you learned so much from it! 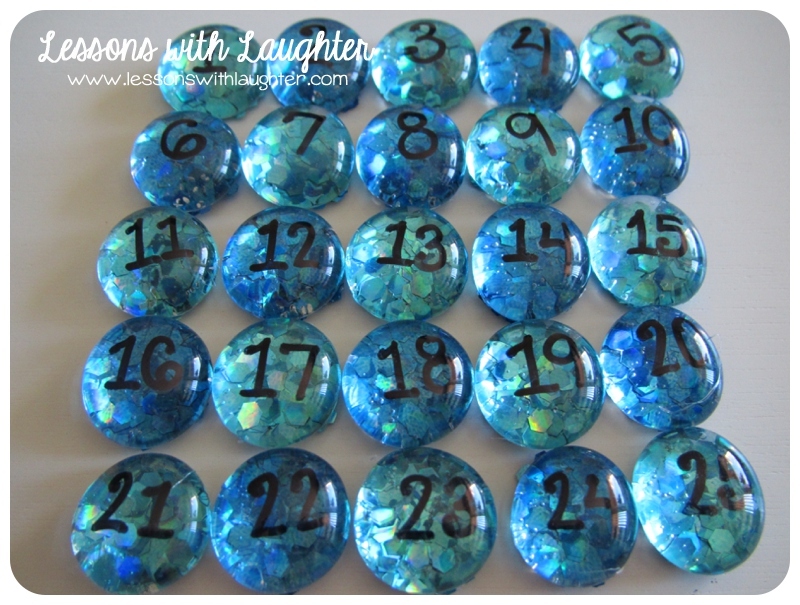 Cute idea with the glitter as well! I'v seen these many times, and I also like the bigger glitter! I'm off to Michael's! I have a bunch of that same glitter left over from my glitter shoes disaster! This will be the perfect project to tackle next! You look like you graduated from Liberty University because that's exactly what I wore myself when I graduated from the undergrad in May. Congratulations! I finished my masters in May, it sure feels great! I can't wait to not have my own school work during this school year! Also–yay! I won the school supply giveaway! I'm shopping right now!! I'm so excited. I never win anything Yippee!! Congrats on getting your Masters! I should be graduating in December…I agree, lots of hard work, but so worth it! This is a great idea. I'm always making Venn-diagrams in class and using post-its. This is a great alternative. This is Brianne! Congrats on your Master's Degree!!!! Such a huge accomplishment. Well, I have a new blog. My "From Behind the Lavender Door" blog was deleted when my school email was deleted. I ended up leaving my school at the end of the year. Our admin is out of control. 8 teachers left. Yikes! Anyway, I had to start a new blog all together. The link is below. Please check it out. There isn't much yet, but I am sure there will be plenty. I hope you are well and I look forward to reconnecting! Congratulations on your Master's Degree milestone! You must feel such a great sense of accomplishment, satisfaction, and pride. 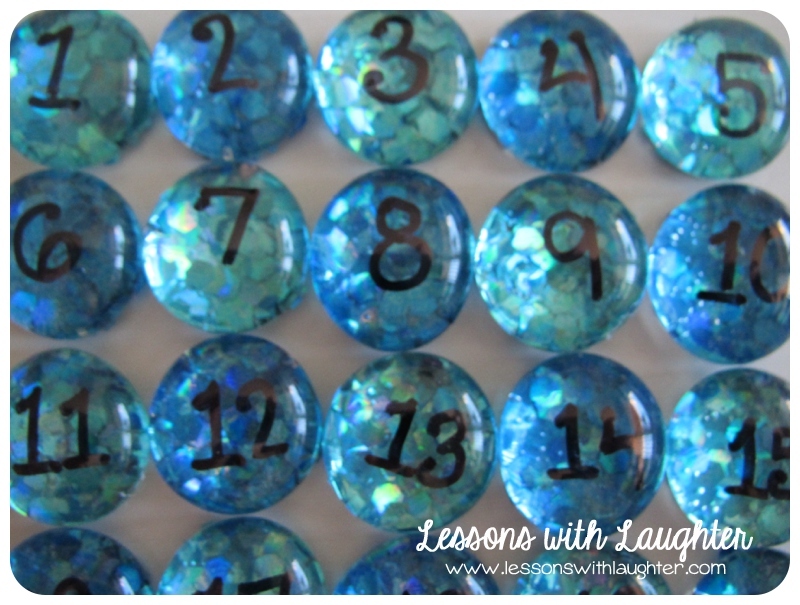 And your number glitter magnets rock! What fun.